*This site was put together for sharing during a presentation at WPCampus 18. I hope the site provides the same narrative as what I presented, but you can also watch the recorded feed or download this rather large pdf of my presentation from the conference. The great challenge of educational technology is not putting tools in hands, but rather building a community that appreciates the tool and integrates it into student learning. 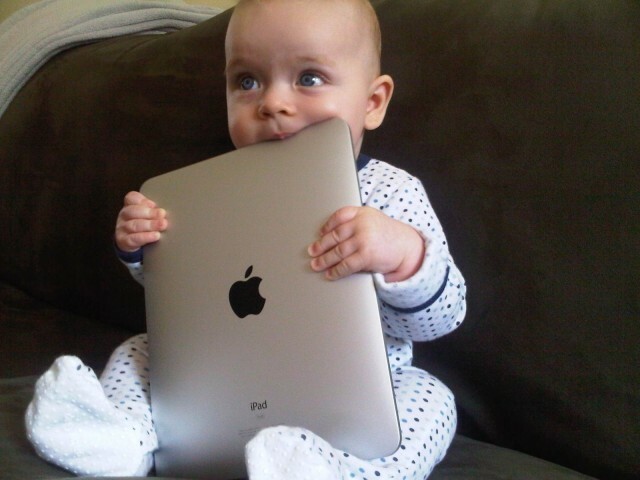 Students participating in the early iPad roll outs often got less value from the experiments than this baby did using the iPad as a teething aid. Tools are only beneficial with context, training, and meaningful use. The diffusion and adoption of WordPress in higher education usually (always?) includes professional development. Whether through one-off workshops or semester long courses, professional development can help familiarize faculty with WordPress as a tool, provide examples of use-cases, and support integration into course designs. Educational technologists also go into the classroom to talk with students about how blogging works and why it is a useful skill. We offer office hours, tutorials, and 1 on 1 troubleshooting. These trainings, both at the faculty and student level, lay the foundation for participation, but how do we follow up to see what people are making? Community portals and web commons have been used to promote a sense of community and highlight interesting WordPress projects. They promote discovery, both for the staff in building them, and for the visitors who visit the site. At OU, we have built an activity stream to see the latest blog posts, a weekly update spotlighting interesting posts, and a website that shows what kinds of web apps people are using within our Domain of One’s Own system. While both of these projects help to share the great work being done in OU Create, we wanted to do something more to bring the community together and celebrate them as creators. 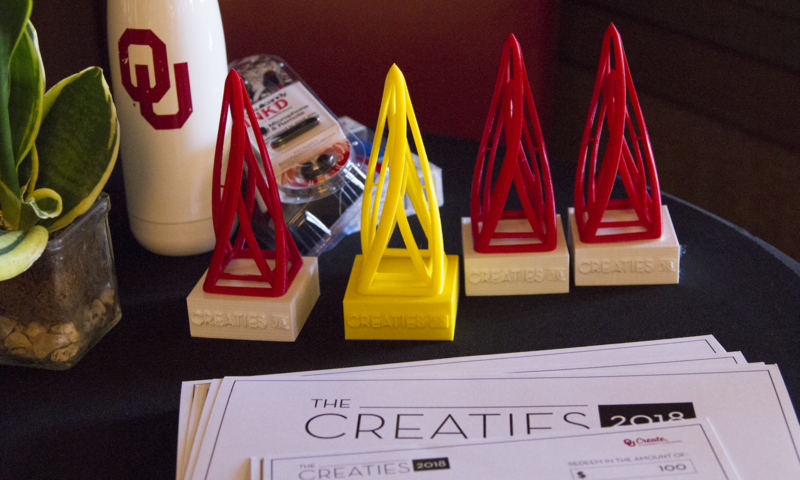 We introduced an award ceremony called the OU Creaties (sadly, this was the best name we could come up with) in 2016. Each year since then, we’ve continued the event as a way to 1) convert users into stakeholders, 2) identify talent amongst both the students and faculty, and 3) promote best practices. By following the linked dates, you can see the nominees and winners from 2016, 2017, and 2018 and read our event summaries from 2017 and 2018. 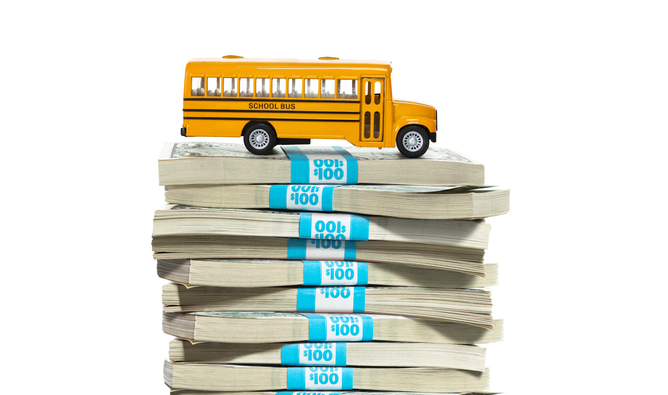 Education, as an industry, is not exactly flush with cash. Federal, state, and civic governments throughout the US struggle to fund the basics of education, so adopting innovative learning technologies requires that we get buy-in from key stakeholders. 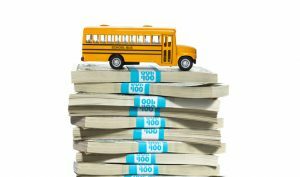 Back when I was a kid, we all rode to school carried on piles of money. Alas, no more. One of our goals for the OU Creaties has always been to showcase the work our community is doing for administrators. The key-note speaker for our first OU Creaties was the Provost of the University of Oklahoma, Kyle Harper. Provost Harper adopted much of the language of digital pedagogues like Jim Groom and Audrey Watters in recognizing the awardees efforts at reclaiming the internet as a knowledge community. Additionally, Creaties awards can increase the level of buy-in of users making them more invested stakeholders. Ben Keppel (shown above), the winner of this year’s prize for best faculty site, told me that he has already used the award as part of a grant application to develop his research for K-12 outreach in Oklahoma schools. In that a badge is only as useful as the community that makes it, it’s great to see Ben and others leveraging the Creatie award within the community as certification of the great design and content of his site. Students have also made use of the awards, placing the digital version of the badge on their websites. A student run alternative magazine called the Forum at OU displays their 2016 badge on all of their pages. More exciting, if anecdotal, are those students who bring dates or even their parents to the award ceremonies. Each year, many of our nominees bring guests to help them celebrate. This year I heard from one mom about how proud she was of her son for engaging in his classes and being nominated. Similarly, I met a dad who picked up an award for his daughter who was studying abroad. Students sharing their success with friends and families helps to demonstrate their learning and skill development and build a place for our project within the broader university community. Another goal of the OU Creaties was to identify and celebrate the talented people around campus who are making great things. Each year, we solicit nominations from all OU Create users and people across campus who work on digital projects. Many of the nominations are for projects that we didn’t even know about. One of the key sets of stakeholders in our WordPress project are the faculty. Obviously, they are on the front lines of implementation designing assignments, providing instruction and coaching, and evaluating student work. Each year, we give an award for the best course sites acknowledging both the faculty member’s work and that of their students in creating an active hub. This year, Zev Trachtenberg’s Environmental Philosophy course won the prize because of the excellent work that each of his students did in their studies on the air, water, energy, national monuments and other topics. 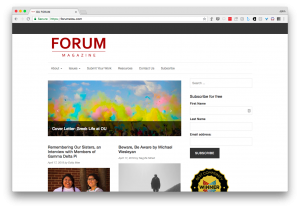 Faculty are also pushing the boundaries within WordPress, building things that we didn’t originally anticipate. In 2017, Saleh Tabrizy (shown above) took home an award for his statistics course, that he produced in WordPress. Saleh shared his lectures, assignments, data sets, and readings in the open. Because his site has an SSL certificate, he could embed the site in our LMS, and also share his site in the open web. After his success with this stats course, Saleh has continued to build his course sites in WordPress and serves as a champion for open web development in the Econ and Stats communities on campus. In recognizing the students who are excelling with WP for their coursework, we are also trying to help them recognize WP as a marketable skill. One of our students came to OU without any experience with building websites. In her freshman intro to journalism class, she was asked to use WP to blog her course assignments. In her sophomore year, she helped a faculty member build an award winning project on the speech and voice patterns of children at play in Nicaragua. Now, she leverages this experience as a freelance web developer for other faculty across campus. This student came to OU without any experience of web design, but we can now refer WP projects to her to help her pay for college. The Creaties offer us an opportunity to call out those issues and values that we want to promote across campus. Since we started the Creaties, web accessibility, has been one of the key criteria on which we evaluate nominees. ALT tags, proper markup, and the ability to tab through pages are important if you want to win an award. Now we are looking to add an award for those projects that best demonstrate and promote accessibility in order to further call out the importance of accessibility and UDL. To be eligible for an award, you can’t break the law. We look for Creative Commons images in awarding prizes and, at minimum, make sure that the winners haven’t violated any copyrights. In our introductory trainings for both faculty and students we talk about sourcing images and other media assets. We constantly stress, both to faculty and students, that blogging is not simply copying and pasting a .doc file onto the web. Links, images, video, graphics, and site design are all evaluated to choose the winners from the nominees.